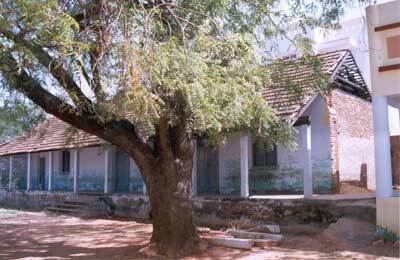 housed in its present buildings on a site of 14 acres at the south end of Palayamkottai. 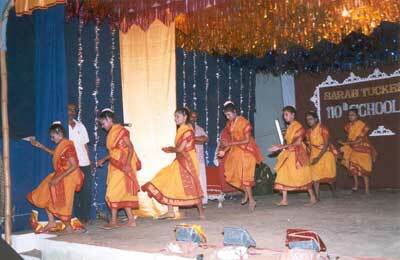 It provides general education upto Std. X and then vocational training in various trades (Electronics, Tailoring, Sewing, Book-binding and Carpentry) for another 2 years. The School has a strength of 565 (55 Pre-School children, 450 in the High School and 60 undergoing Vocational Training). On the academic side, from primary status, the school rose to be a Middle school in 1901, into a High School in 1978 and into a Higher Secondary School in 1993. The Government has recognized the Higher Secondary Course, but without financial aid. The bright deaf children are deprived of their legitimate right of studying Higher Secondary Education due to financial strain. The School produces 100% results in the government examinations in Standards X and XII. Students have achieved Ranks in examinations. Importance is given in Lip Reading and Speech Developments. The century old School buildings, built with mud wells, need attention. It is estimated that the cost of this project would be Rs. 600,000 ($13,000). Since the School has only been recognized without financial aid, the School is looking for sponsors to support the deaf children. There are 31 non-resident children in Standards XI and XII and it costs around Rs. 500/- per child per month. 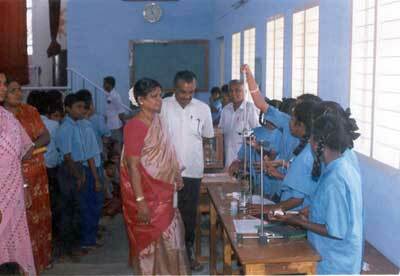 These children have to study for 2 more years in Vocational Course after Standard XII. 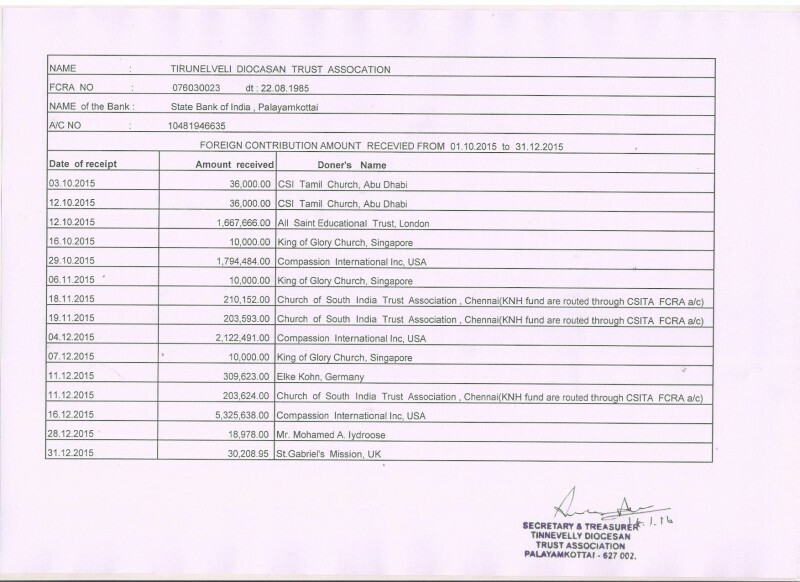 Thus sponsors are required to support a child for 4 years with annual support of Rs. 6000 ($130). A small beginning has been made with the opening of a School for the Deaf at Tirumaraiyur to meet the growing need of the deaf in its neighbourhood, and 30 children have been admitted. 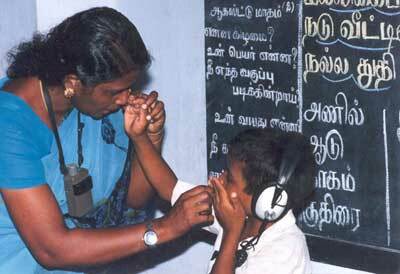 A Home for the Aged Deaf Women has also been opened at Palayamkottai in 1990.